Make your special occasion truly unforgettable at Gotham Hall, where Style Meets Sophistication. 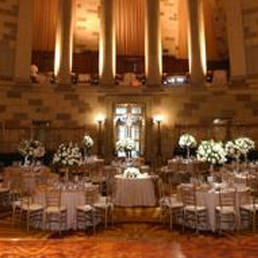 Gotham Hall is one of New York’s most beautiful party halls for social and society events. Featured in such renowned print and online publications as New York Times Sunday Style Section, BizBash, and NewYorkSociaIDiary.com for hosting notable social events, it is the event venue of choice for many of New York’s social scene. The striking architecture of our main banquet hall is the perfect backdrop for an elegant wedding location in NY and is considered one of the most prominent wedding halls in NYC.